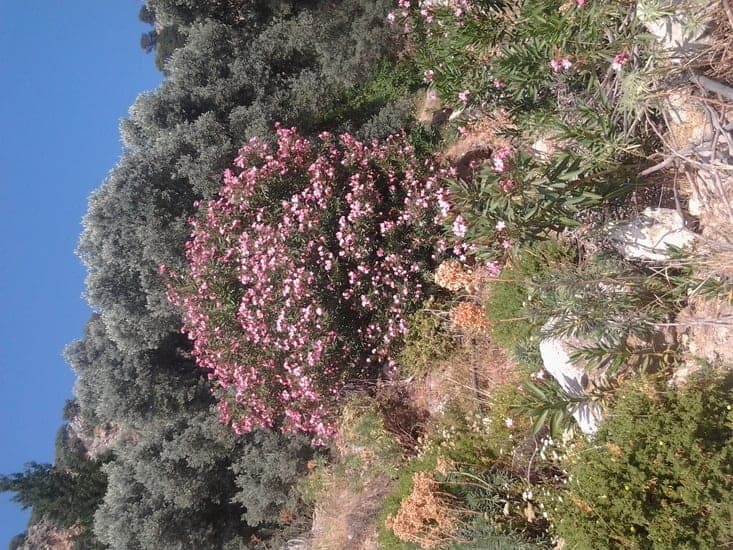 But there is another, also beautiful but totally different, world to be found along those very same shores of Turkey. Just a number of steps further inland and a little higher up the slopes, there is a landscape of soaring cliffs and mountainsides, of far-reaching views across land and sea, of untouched nature and of long walks on ancient roads and traditional tracks. 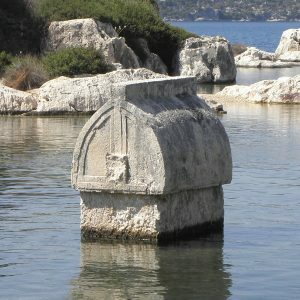 For the last few days, I have been on a short but intense and rather physical reconnaissance trip to prepare for the one-week Walking and Cruising Western Lycia tour we offer this October, as a complement to the very popular two-week Walking and Cruising the Lycian Shore we have been running for many years. After walking part of the itinerary in summer 2012, I have now completed that task, with the help of Uğur Çinar, one of our trusted local guides. 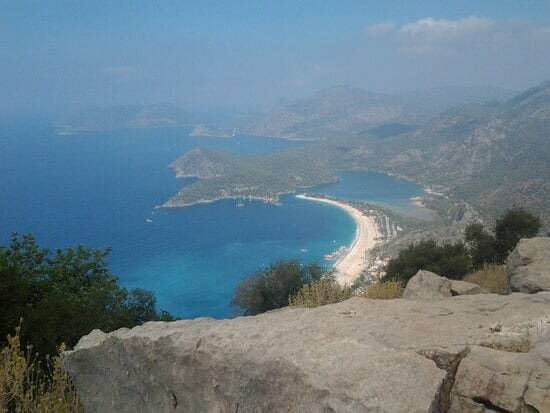 The Lycian Way, first established in 1999, is rightly famous. 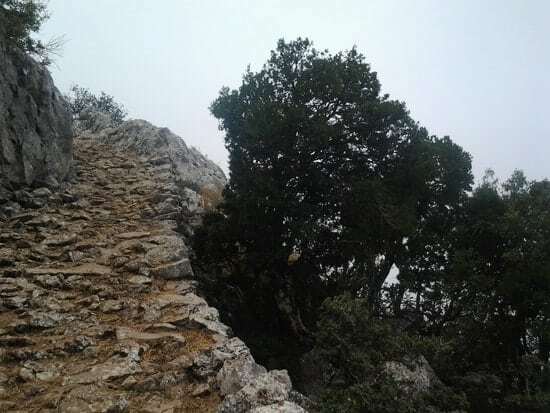 It was the first long-distance walking track in Turkey, but has since spawned many further projects, including the Carian Trail, inaugurated earlier this year (we are eyeing it with great interest). 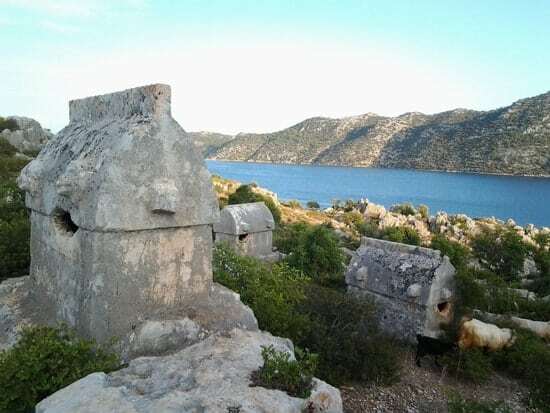 The Lycian Way takes walkers through a vast variety of landscapes along the shore of that historical region in southern Turkey. It includes a multitude of archaeological sites from all periods along the track, but the true focus is on the experience of walking, nature and landscape. Walking is of course the best way to engage with an area, to gain a deeper sense of understanding, and experience a sense of intimacy with terrain and topography. Uğur and I partook in very much of that experience these last few days. We admired the incredible views of Ölüdeniz Lagoon, one of the most famous Turkish seaside resorts, from high up the shoulder of Mt. Babadağ. We encountered half-abandoned hamlets, crossed forbidding rocky slopes and enjoyed the serenity of paradise-like lush valleys. We walked through a whole series of ever-changing vistas, sometimes in bright sunshine, often shaded by trees, and once chilled by the very clouds. We observed birds, squirrels, donkeys and horses, and a lot of plant life, ranging from little flowers to gnarled ancient trees. We also consumed the landscape, drinking clear cool water from mountain springs and picking wild mulberries off the trees. 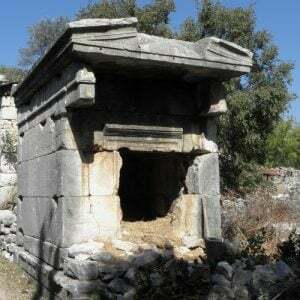 On one occasion, an elderly bee-keeper shared a honeydew melon with us… We walked about 50km (31 miles) in three days – but after all, the Lycian Way is 10 times longer than that. 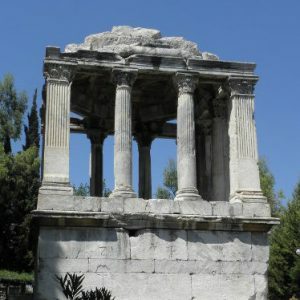 On the actual tour, these rich impressions of a wilder and more rural Turkey are enriched by the variety of intriguing historical and archaeological sites we visit along the way. 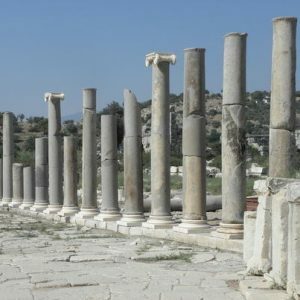 Imagine walking along the line of the 2,000 year old Roman aqueduct that brought water to the great harbour city of Patara, and then seeing the city itself. Figure yourself strolling on a rocky shore between the mysterious graves and sarcophagi of the long-forgotten Lycians, or discovering a whole Roman necropolis surrounding a remote mountain village. Can you see yourself setting out from a 2500-year-old hilltop fort, your eyes already trained on the next destination, a (merely 1000-year old) medieval castle?